Once you or a loved one receives a diagnosis of dementia, it can be difficult to work through the emotions of the diagnosis while also working on a treatment plan of care that will keep your loved one safe and healthy for as long as possible. However, a roadmap to resources that can help your loved one live a life that is full of independence and dignity may be nearer than you think. A top-quality dementia care facility can not only be a place of comfort and safety for your loved one, but it can also be a place of education and understanding for you. As you begin to look at dementia care facilities—what we call memory care communities—in your area, take note of a few details that can help you choose one that will become a part of your extended family for the duration of your journey. In order to begin your search for the best dementia care facility for your loved one, start with the environment and design. Make sure that the community feels homelike, steering away from clinical features like white linoleum floors or harsh fluorescent lighting. Instead, look for features like comfortable seating and touches like vintage photographs in frames or a piano in the corner. The nursing station should blend in with the community, and there should be plenty of space for group and individual interaction. Beyond the cozy feeling, keep your eyes peeled for safety features that will eliminate dangers that can come with a dementia diagnosis. In order to prevent wandering out of the community unattended, look for code-protected doors or a pendant system that alerts staff when residents are near doors without supervision. Ask what type of call-light system is in place and what precautions are taken if the resident cannot remember to use the system if help is needed. Environment is certainly important, but the staff of a memory care community is truly the heart of the care that is provided. Ask what types of training staff members receive that goes beyond federally required or state-required education. Make sure that staff receives ongoing training related to dementia care topics and that management personnel attend dementia care conferences in order to stay knowledgeable about new interventions for the population. Inquire, too, about the philosophy of the dementia care unit. Listen for words and phrases that emphasize the importance of putting the resident’s preferences and needs at the forefront of the care plan. Further, ask about family involvement at the community; an excellent dementia care program will include plenty of time and encouragement for families to become involved, as well as unique ways of communicating about the senior if family members live far away. Much of dementia care programming is rooted in purposeful and engaging activities that are planned and implemented by staff throughout the day and evening. Ask to take a look at the programming calendar and make sure that there are a few activities that your loved one may enjoy, as well as outing opportunities for residents to go into the greater community. Activity calendars should include programs offered throughout the day and on the weekends, giving residents ample time to become involved with a program that will empower them, keep them busy, and offer therapeutic benefits. Clinically speaking, nutrition is a key concern for those living with dementia. 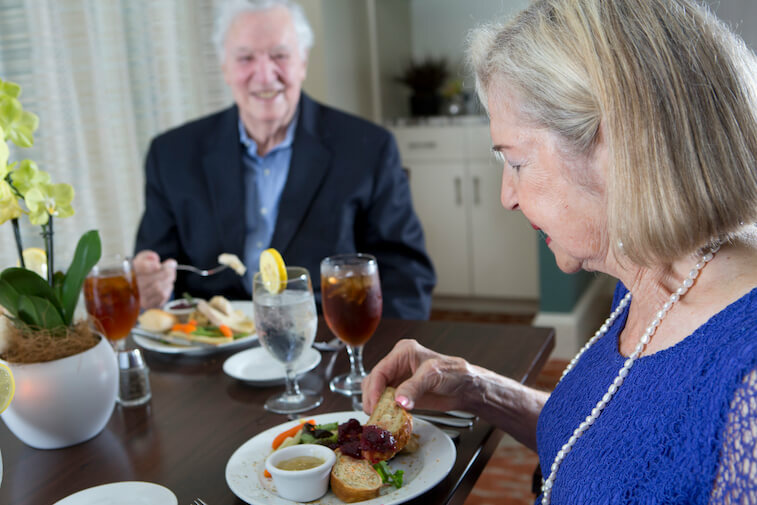 However, excellent dementia care communities know that nutrition is so much more than calories consumed—it is an experience that can connect residents to one another and to the past. Watch for menus that are varied, offering comfort foods and other nutritional options that residents can actively choose from. Further, make sure that the community has plans in place for residents who may have challenges using traditional silverware or need additional feeding assistance; these residents should be given finger foods and other dignified options in order to maintain independence as much as possible. By focusing first on environment, staff, activities, and dining, you will be able to become an excellent start on finding a dementia care facility that your loved one will thrive in. Paul Kelley is the Vice President of Operations for The Arbor Company.